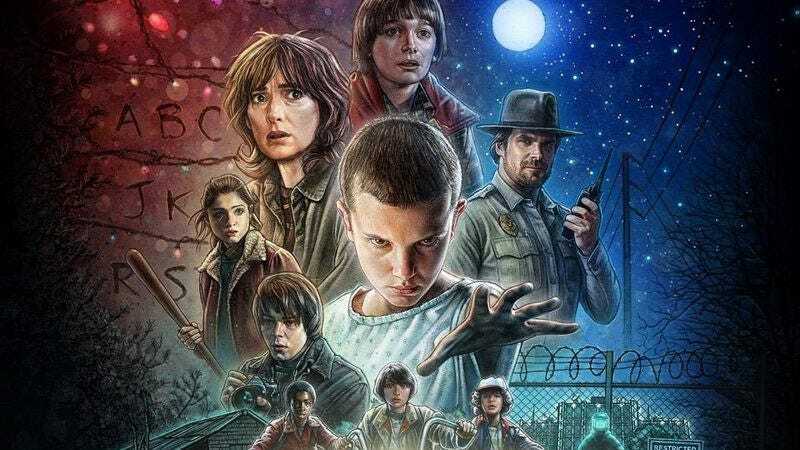 Weaponized nostalgia is one of the greatest threats facing adults in America these days, and as effective as Netflix’s Stranger Things and its whole weirdo ‘80s sci-fi/horror aesthetic were on their own, a new release of the show’s soundtrack could be one of the most powerful attacks of nostalgia in years. As reported by Pitchfork, the soundtrack is being released on cassettes—the most nostalgic audio format there is—with cases that look like VHS tapes. It absolutely doesn’t make a lick of sense, but you won’t be worrying about that when you remember that VHS tapes were a thing you’d watch movies on when you were a kid. Remember VHS tapes? Remember those carefree days when you could listen to music on cassettes and watch weirdo sci-fi/horror movies on VHS? And your parents were still together, and your pets hadn’t died yet, and you didn’t have to work at that soul-sucking job? This Stranger Things soundtrack on a cassette that looks like a VHS tape can take you back to that time, and all you have to do is surrender to its dark power. The soundtrack—featuring the music of Kyle Dixon and Michael Stein from Survive—will be available on July 14, and it will only be sold at Urban Outfitters. (Because where else would you buy a TV show soundtrack on a cassette that looks like a VHS tape?) If you’re able to avoid the siren song of nostalgia, the soundtrack has been available in other formats since last summer. Season two of Stranger Things will premiere on Halloween.